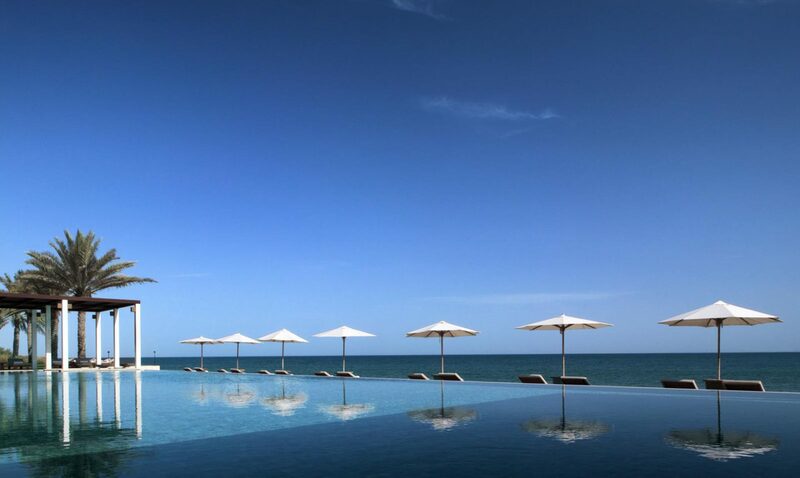 Located at the heart of Oman and flanked by azure ocean waters, The Chedi, pampers they offering access to two turquoise pools, a water-garden, lush poolside cabanas and a private stretch of beach. 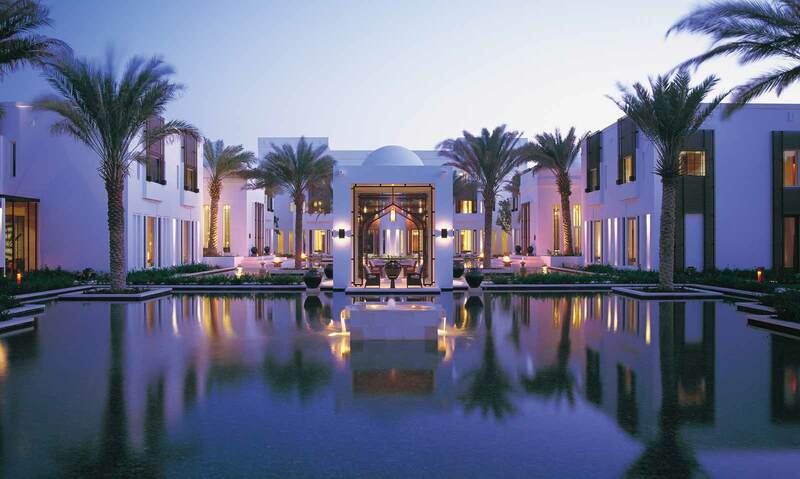 Designed in the style of traditional Omani architecture and offering breathtaking views of the Gulf of Oman and the mountain ranges of Muscat, The Chedi provides the perfect place either to stay and relax on the beach or within the hotel’s beautiful grounds or to explore the city of Muscat and surrounding countryside. Within the hotel grounds I will find two swimming pools, a fitness centre and spa, tennis courts and six restaurants. Opened in 1985, the Al Bustan Palace Hotel has built a reputation as the best hotel in the Middle East and one of the finest hotels in the world. After a multi million dollar refurbishment it reopened its doors at the end of 2008. The hotel is nestled on the coast surrounded by a dramatic mountain backdrop, sea and beach and set in 200 acres of lush, green gardens. 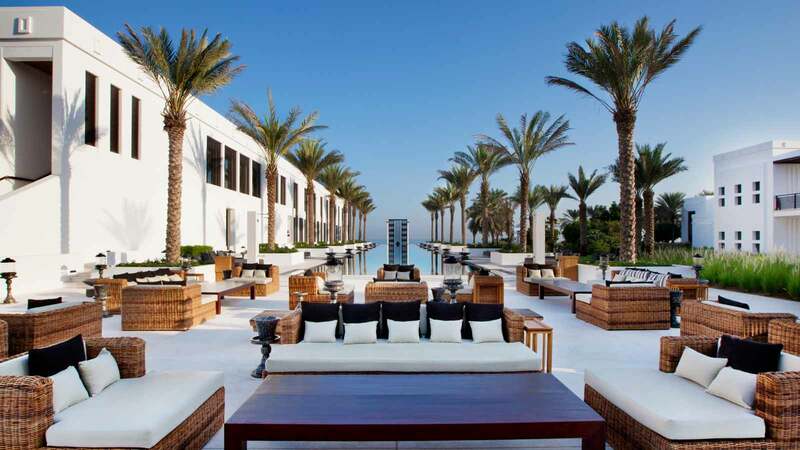 It is close to Muscat and the commercial centre and enjoys spectacular views over the Gulf of Oman. 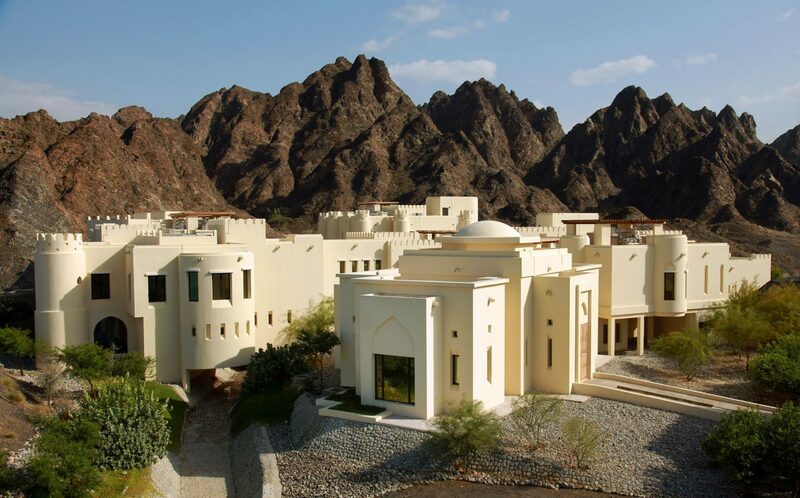 The Al Bustan Palace, a Ritz Carlton Hotel has 250 luxurious rooms and suites, each with its own private balcony and most with spectacular views over the Gulf of Oman. 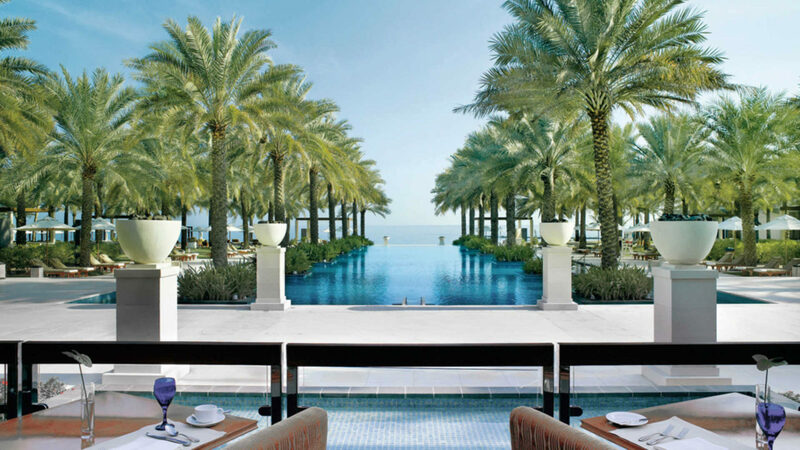 For dining the Al Bustan Palace, the hotel has an enviable reputation and serves a variety of international cuisines from all over the world to satisfy the most discerning palate. The hotel offers the finest and most comprehensive sporting and leisure facilities in the Gulf region. 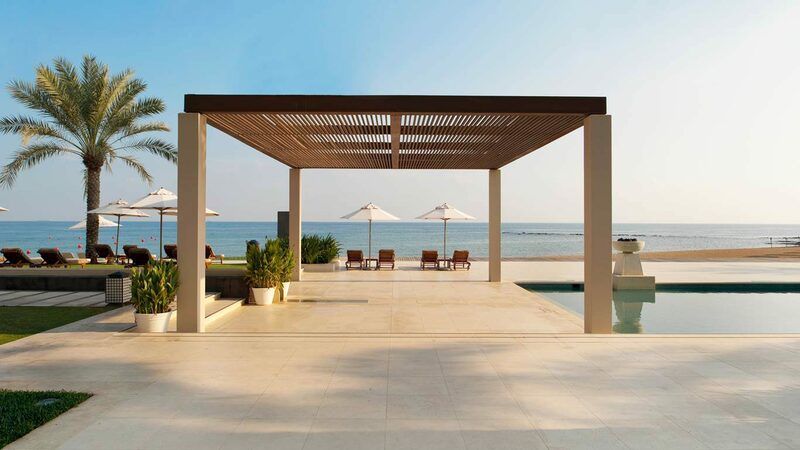 Unwind in the privacy of the private beach or at the temperature controlled swimming pool. Choose from tennis, sailing, windsurfing, snorkelling, diving and boat trips, or enjoy a workout at the Health Club with gymnasium. They are also in the process of building a Six Senses spa.